The ‘confine’ of Umbria/Tuscany meanders around us and we are only 2 kilometres from the ‘border’ at its nearest point, which makes us ideally placed for visiting all the places of interest both famous and less well known. Here are just four of the Tuscan places of interest just a short drive away. This delightful small Etruscan Town lies only 7 kilometers from our home (15 minutes drive)on a promentary overlooking Lago di Chiusi. In the Old Town there is a delightful bric a brac market on the last Sunday of each month and a local market selling clothes, shoes, fruit & veg: in Chiusi Scalo near the railway station every Monday morning. Take a stroll round this little gem of a town and its walled gardens or watch the world go by sipping a cappucino or an ‘aperitivo’ from the kiosk under the trees in the town square. 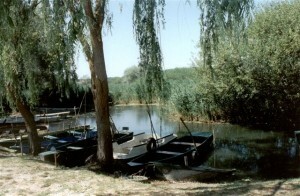 Lago di Chiusi is a fishing and wildlife lake and there is a quayside where all the waterfowl gather. 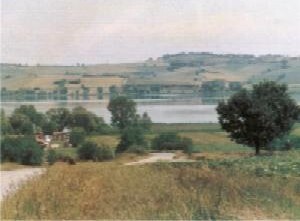 Around the Lake there are three pleasant restaurants, one in particular the ‘Pesce d’oro’ (goldfish) serves wonderful imaginative Lake fish dishes, yet from the outside it looks like a very basic cafe. Explore round the back of the cafe and you will find this hidden gem. For those interested in History there is a fascinating Etruscan museum where you can arrange to take a conducted tour of some of the local Etruscan tombs. Chiusi Scalo has a number of good little shops, and a wonderful shoe outlet where they make the shoes on the premises. 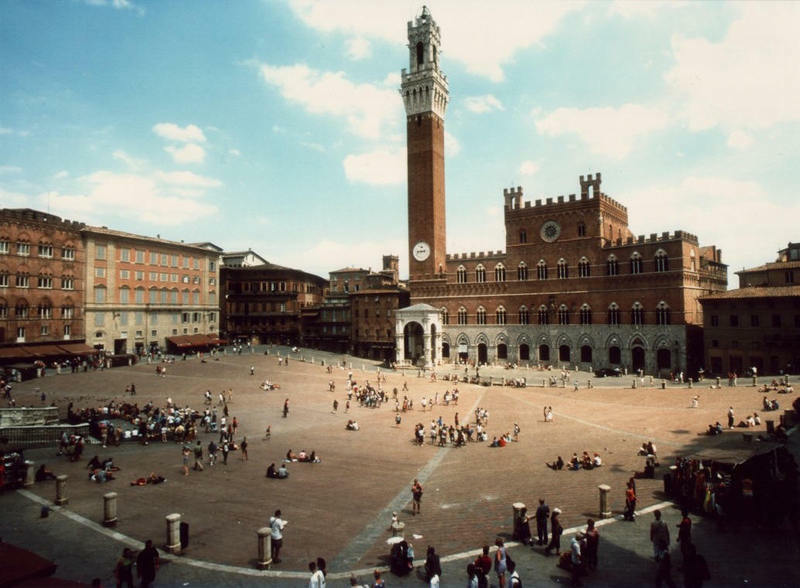 It also plays host to our main local railway station with excellent connections to Rome, Florence and beyond. This little Town made famous by Francis Mays in her book & film ‘under the Tuscan Sun’ lies half an hour’s drive away. Set on a hillside and visible from miles around it offers stunning views over the ‘Val di Chiana’ valley and Lake Trasimeno. The old Town teems with life , with excellent restaurants, bars & cafès. In June there is the annual Archery competition where the various Contradas of the Town parade through the town and end in the main square where there best archers compete. In July on Wednesday evenings there is open air English language cinema in the gardens and during the summer there are open air concerts & an annual Opera held in the Town squares. Thursday mornings there is a very good open air market in Camucia which lies at the foot of the Town. 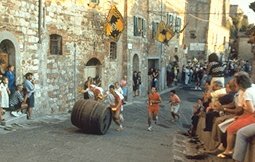 A wonderful medieval town famous for its Vino Nobile and for the wine barrel rolling competion held every August. 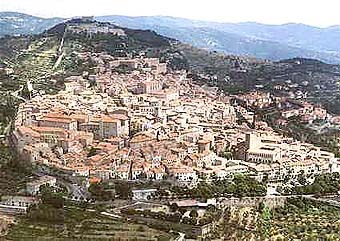 Drive through foothills of vineyards (3/4 hour drive from us), leave the car at the bottom of the old Town and wander gently through the roads and little side vicoli (alleys) popping in and out of shops to try the cheeses, meats and wines on offer till you reach the main square. Close by is another little town Pienza which is the centre of the cheese making industry – you can visit both in a day. Home of the Palio and with a piazza which takes your breath away, Siena is a must see for most Tourists. From our house you can reach it by car or by train in about an hour.